It’s our second day of our holiday gift guides & today, I am so excited to share some of our favorite picks this year for boys, ages 4-8. 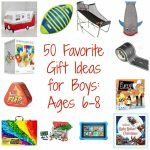 I have had a lot of fun creating holiday wish lists with my boys & we have come up with the Ultimate Wish List for you! 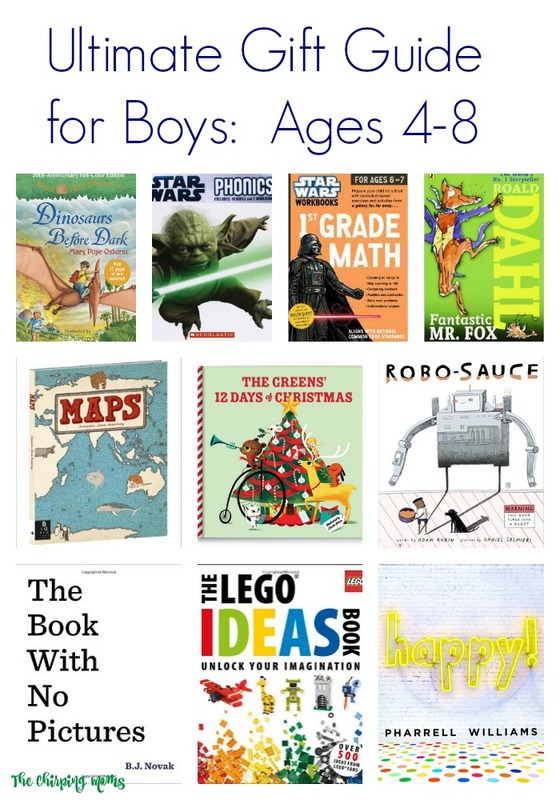 Below are some great gift ideas for boys. There is an even a special Star Wars section because my boys are all about anything Star Wars this year! 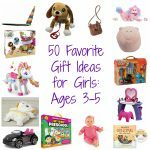 I’m not buying Aiden & Andrew everything that is featured below, but this list was created based on a mix of items that we are purchasing for Christmas, items that they own already (and love), & other items that I think would make great gifts! 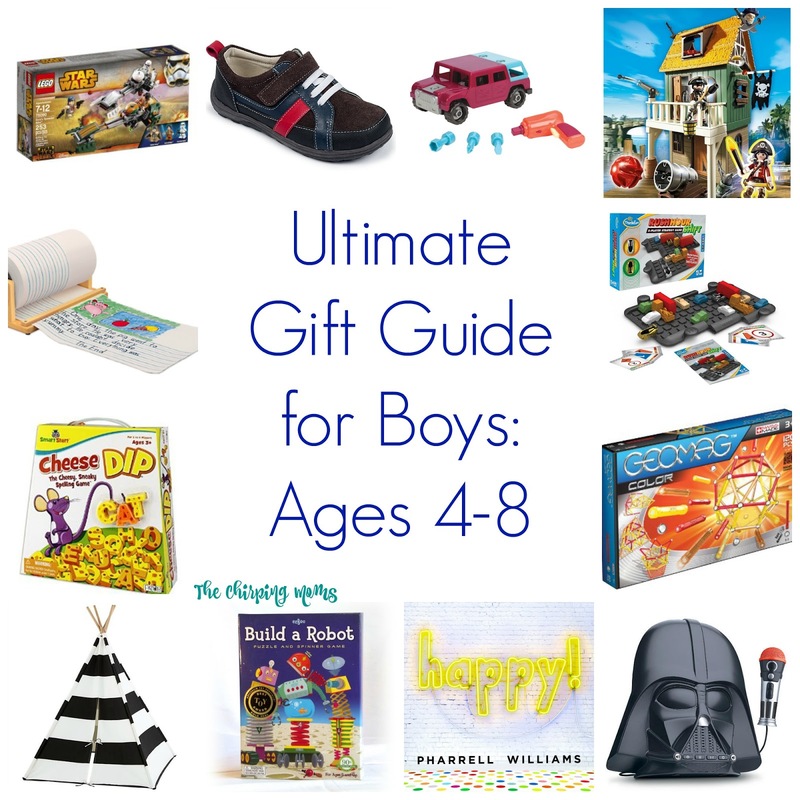 We hope you enjoy our Ultimate Gift Guide for Boys: Ages 4-8. A Teepee To Call Your Own: This stylish teepee from Land of Nod is the perfect gift for the boys (and Abby) this year! We just moved into our new house & thought this would be a fun addition to their new playroom. It’s a great spot to play, read, & just hang out. I know that it will be a toy that will last for many years! Playmobil Super 4 Pirate Fort: My boys love anything related to pirates this year, especially after our trip to the ocean & reading all about pirates this summer. Playmobil is one my favorite brands of raids because it encourages use of their imagination. This set would be great for their pirate everyday play! Playmobil Super 4 Pirate Cave: Another pirate set from Playmobil. Usually when I buy one part of a set, I try to buy two so each boy has their own little area to play even if they are playing together. It just keeps things a little easier in our house. This pirate cave would be a great set to compliment the pirate fort. Micro Maxi Kick Scooter: If there’s one outdoor ride-on toys that my kids have used everyday, it would be their Mini Kick scooters. They are amazing & I have recommended them over and over again. Aiden, sadly, has outgrown his Micro Mini so I decided it was time to upgrade his scooter to the Micro Maxi Kick scooter which is designed for elementary school-age kids. Highly, highly recommend Mini Kick scooters if you are looking for scooters for your kids & I know that Aiden is going to love this scooter this year! Geomag Color Variety Set: My boys are all about building & creating this year so I am going to add this Geomag building set to their wish list this year. This magnetic construction set from Geomag allows kids to construct with magnetic rods and metal spheres. I think the boys would love to try these out & build, build, build! Battat Take-A-Part 4 x 4: My five year old still loves his play tools, so I thought that the Battat Take-A-Part 4×4 would be perfect for a Christmas gift this year. This set challenges kids to build & take a part 21 pieces of a 4 x 4 vehicle using a power screwdriver with three interchangeable bits. Andrew would love this toy, so he can use his tools just like Daddy! Create A Story Paper Center: My first grader loves to write. Seriously, some nights he will write like five books in one night. Books about school, books about trips, books about really anything. I thought this fun paper center from Lakeshore Learning would be a great gift for Aiden to encourage him to continue writing & illustrating. I love that this paper center comes with a safe cutting edge and over 500 feet of paper. 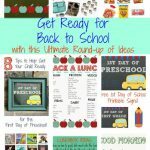 As a former teacher, I absolutely love shopping at Lakeshore Learning for my kids. 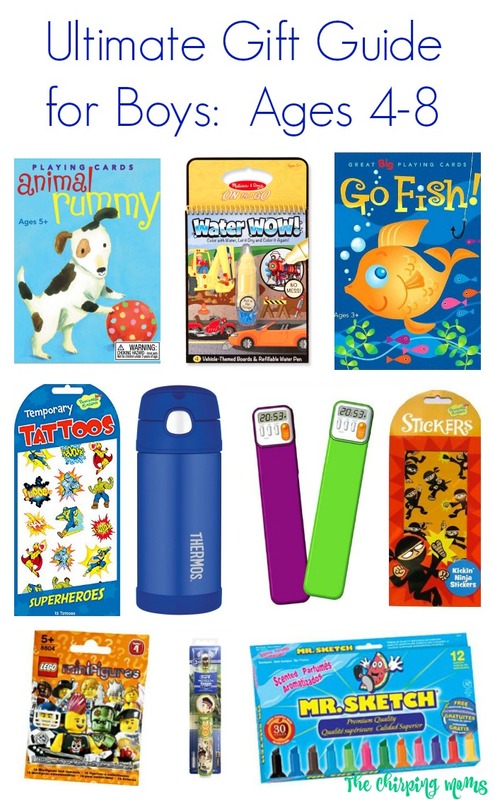 There are so many awesome educational gifts to be found at this wonderful store. 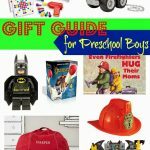 Lego Juniors & Lego Sets: My boys are all about Legos this year so I know they would love to find a new Lego set under the tree. I love the Lego Juniors set for Andrew because he can build them all on his own, while Aiden loves any & all Lego sets! 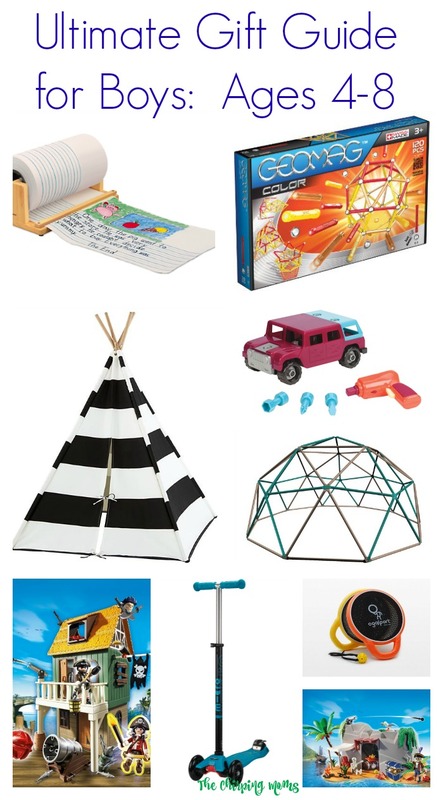 Dome Climber Play Center: I love to find new outdoor toys for the kids during the holiday season. Since we moved this summer, we don’t have a ton to do out in our backyard, but we do spend a lot of time out there. I thought this dome center would be perfect for the kids! OgoSport OgoDisk Raq: Here’s another fun game that would be perfect for the backyard! Star Wars Darth Vader Action Figure: As much as my boys love Star Wars, they have yet to own a true Star Wars action figure. Andrew would love this Darth Vader from Jakks Pacific, which is his favorite character! This Darth Vader comes with a lightsaber on his bet & would be great for hours of imaginative Star Wars play. Star Wars Stormtrooper Action Figure: I have said it before, but I often buy toys in complimenting sets so they each have a toy to play with when they play together. This Stormtrooper, again from Jakks Pacific, would be another hit in our house! Star Wars Voice Changer Boombox: I’m pretty sure this will be a big hit in our house. This voice changing boom box from eKids allows you to change your voice to sound like Darth Vader. You can also connect your MP3 player & sing along in Darth Vader’s voice. I’m pretty sure this will provide hours of fun for the boys (and us parents!). Death Star Bluetooth Speaker: Aiden keeps asking me for a speaker in his room to listen to music. 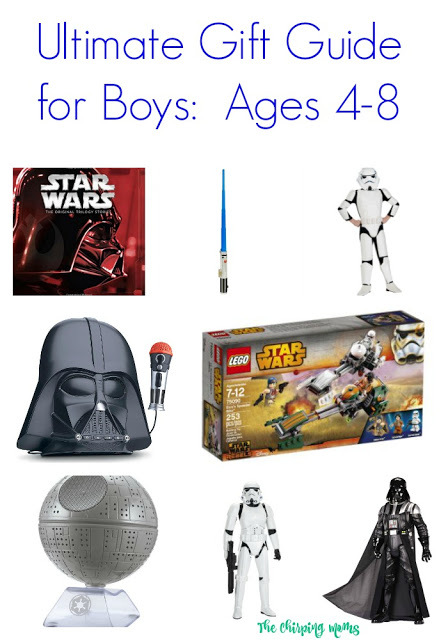 When I saw this Death Star Bluetooth Speaker from eKids, I knew it was the perfect gift for him this holiday season. At first glance, it looks just like the Death Star but in reality, it’s also an awesome Bluetooth speaker! Storm Trooper Costume: Andrew is seriously the king of costumes. He was Darth Vader for Halloween, but now he has been asking for a Storm Trooper costume. I know he will be delighted opening this costume on Christmas morning! Lego Star Wars Ezra’s Speeder Bike: Legos & Star Wars, this is the perfect gift for Christmas. This set is number one on Aiden’s wish list & I know that he will be super excited to open Ezra’s Speeder Bike as he has been waiting a long time for this specific set! Lightsaber: These are a must-have for any Star Wars fans. This will provide hours of fun! Star Wars: The Original Trilogy Series: This Storybook Collection trilogy series is highly rated & would be great for some bedtime stories for any Star Wars fan! Gymboree Pajamas: I am planning to give each child a new pair of pajamas on Christmas Eve, along with a fun family board game to play that night by the Christmas tree. I love the pajamas from Gymboree because they are fun and festive, plus I can find matching sets for boys and girls. Aiden loves penguins, so this year I got him fun penguin pajamas that match his siblings. 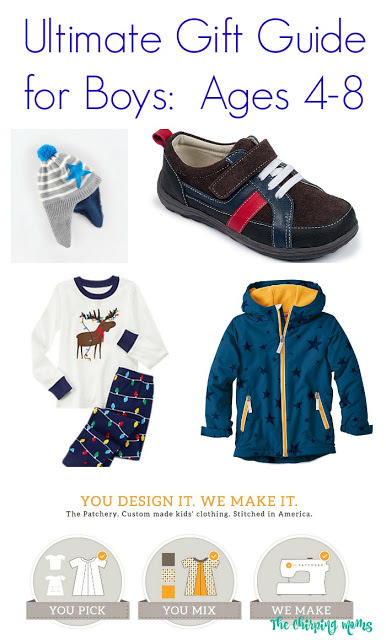 See Kai Run shoes & shoes: Both of my boys are in need of some new dress shoes this year, so they will be finding them under the tree. See Kai Run is one of our go-to shoe stores this year so I went with a classic black sneaker for my sneaker-loving five year old & a brown loafer (just like Daddy’s) for my six year old. The Patchery Shirt: If you haven’t heard of The Patchery, you should definitely check it out. 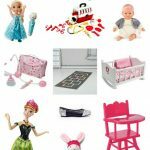 It’s an online custom kids’ clothing boutique where you design the item of choice & the company creates it. I think this would be a really special gift from someone that lives far away (grandma or grandpa!) where they can design an one of a kind shirt for each of the boys. After designing & submitting, The Patchery creates the shirt and will send the package on so each kid will have their very own unique shirt created by someone special. It is definitely a non-traditional, but super special, gift idea! Fleece Lined Hat: We have spent the past month scrambling for hats & gloves anytime the temperature has dropped, so a great gift for Christmas are these fun fleece lined hats from Boden! Winter Coat: My oldest child is in desperate need of a new winter coat & so he will be finding a new coat under the tree this year! LaserMaze Jr.: This game would be perfect for the older boys. This single-player logic game from Thinkfun features a real laser where the player has to reflect and split the laser beam using mirrors and targets to reach the goal. I am always looking for independent activities for Aiden & I think this would be a great challenge for him! RushHour Shift: We already own the RushHour Game & my boys love it. When I saw that there is now a two player version, I thought that this would be a great gift under our tree this year so the boys can play one of their favorite games together. This sliding block logic game from Thinkfun is challenging & fun for kids to play! I know that my boys will be excited to open this box. Race to the Treasure Cooperative Game: Games where everyone wins are my favorites. This award winning game from Peaceable Kingdom is a cooperative game where players work together to beat the Ogre to the treasure by creating a path from start to finish. After reading the great reviews, I decided that this would be another great game to gift this holiday season! Stack Attack Game: Here is a simple, but well-loved, dice game that would be fun for kids and adults of all ages that is created by Patch Products. You roll the dice and stack a higher or lower number on the tower. It’s kind of like a dice version of Jenga, one of Aiden’s favorite games. Cheese Dip Game: This game would be perfect for the younger boys. Cheese Dip, created by Patch Products, allows kids to practice their spelling during this fun game. The kids use their mouse to hook letters one by and one & try to be the first to finish their word. There are multiple word level difficulties so the game will grow with your child! Andrew is just learning to spell words, so I thought this would be a great game to challenge him. Build A Robot Game: eeboo games are one of my favorite gifts to give because they are beautiful & fun. Kids will use their number recognition & match shapes and numbers to build their robot. Andrew loves robots, so I thought this would be a fun addition to our game closet! Gobblet Gobblers: This game, from Blue Orange Games, is so cute & a fun first strategy game for kids. It’s similar to Tic-Tac-Toe where you have to line up three of your Gobblers in a row to win but players can gobble up their opponent’s pieces to take their place. It has awesome reviews & I love that it only takes a few minutes to play each game. Aiden & Andrew will love playing this silly game! Bananagrams Wild Tiles: If there is one game that the adults in the house love, it’s Bananagrams. My first grader is just starting to join in on the games as he learns to spell more and more words. I thought it would be fun to get him his own set of Bananagrams & I love this new version called Bananagrams Wild Tiles. Much like the classic version, the player creates a crossword-style word grid trying to use all their letters before anyone else. But, in this fun version, each player gets 6 wild tiles to use as they need. 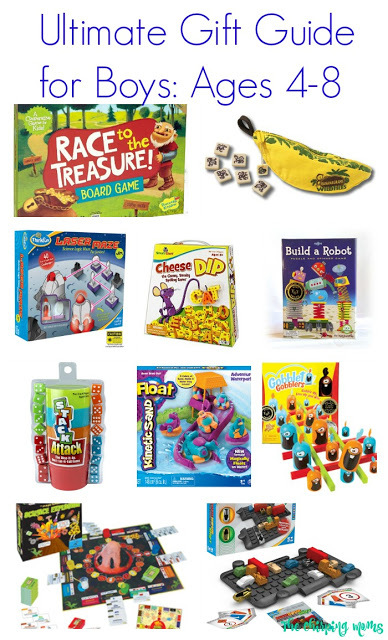 He will be so excited to have his own Bananagrams to play! Magic School Bus Science Explosion Game: One of my boys’ favorite show on Netflix is The Magic School Bus so when I saw this fun science explosion game from The Young Scientists Club, I think this would be a great educational addition to the game closet. I love that it gets the kids interested in science & the first player to the end gets to set off the volcano! Kinetic Sand: We love Kinetic Sand in our house, especially during these long winter months. With this Paradise Island playset, the kids can create their very own tropical parade with four plastic mods and a sand float. It’s a nice twist to traditional kinetic sand. My 12 Days of Christmas: I always pick out a special book each holiday season for this kids. This book from I See Me is based on the classic Christmas tune “The Twelve Days of Christmas”. Readers will find their names in the book, as well as up to twelve different names of family members to make this story even more personalized. I added a sweet photo and personalized dedication so this will be a holiday book to cherish in years to come!